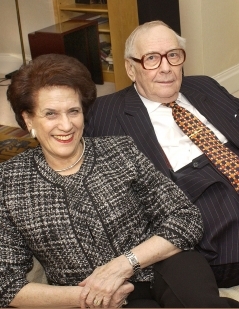 Victor and Lilian Hochhauser have both been closely associated with Russian artists for over fifty years and their influence on the cultural life of Britain has been considerable. Not only have they regularly brought the Bolshoi and Mariinsky (formerly Kirov) opera and ballet companies to London since the early 60s, they have also promoted a galaxy of musicians including the Borodin Quartet, Emil Gilels, David and Igor Oistrakh, Sviatoslav Richter, Mstislav Rostropovich and Galina Vishnevskaya and all the leading Russian orchestras, as well as composers such as Dmitri Kabalevsky, Aram Khachaturian, Dmitri Shostakovich and Moise Weinberg. In 1972, they organised 32 concerts across the country in a Festival of Russian Music and Musicians, with Dmitri Shostakovich as guest of honour. In 1961 they brought the Kirov Ballet to the Royal Opera House for its first tour to the West, followed by the Bolshoi Ballet in 1963. Since then, these two magnificent companies have been regular UK visitors. Since 1991, they have arranged more than 1,500 performances of Moscow City Ballet in theatres all over the British Isles. 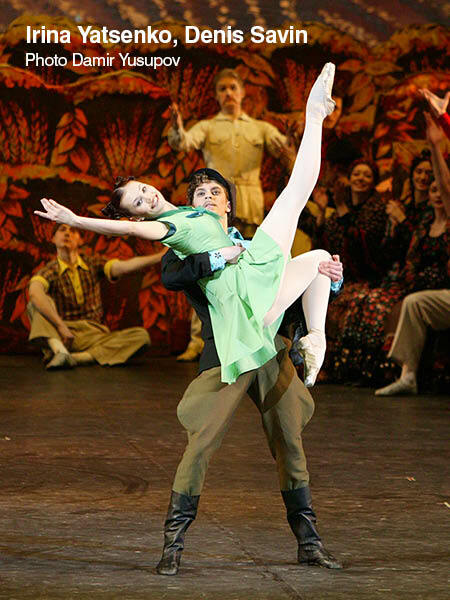 After the 2007 UK Bolshoi tour, Critic’s Circle National Dance Awards gave the Bolshoi Ballet the Best Foreign Dance Company award, Natalia Osipova received the Richard Sherrington Best Female Dancer award and Ivan Vasiliev received the Spotlight award. In 2011, Lilian and Victor Hochhauser presented the Mariinsky Ballet at the Royal Opera House and a second tour of the extraordinary Guangdong Acrobatic Troupe of China, performing Swan Lake at the London Coliseum and in the provinces. They also arranged for the Israel Philharmonic Orchestra to appear at the BBC Proms. The IPO's resident conductor Zubin Mehta was joined by soloist Gil Shaham. Sir Peter Wright's The Nutcracker ended a very busy year! More hugely successful ballet seasons followed, all at the Royal Opera House. 2013 and 2016 saw the return of the brilliant Bolshoi Ballet and in 2014 and 2017 it was the turn of the magnificent Mariinsky Ballet. We are delighted that the Bolshoi Ballet will be back again in 2019, with another thrilling repertoire. Victor and Lilian Hochhauser have also enjoyed a long history of presenting great international stars such as Marian Anderson, Anton Dolin, Margot Fonteyn, Wilhelm Furtwängler, Sylvie Guillem, Alicia Markova, Josef Krips, Mario Lanza, Joan Sutherland and major international companies such as the Guangdong Acrobatic Troupe of China, Paco Peña and his Flamenco Dance Company, La Scala Milan, the National Ballet of China, San Francisco Ballet and the Spanish Riding School of Vienna. Victor Hochhauser was awarded a CBE for his contribution to the Arts in 1993. Lilian Hochhauser was made a Fellow of the Royal College of Music in 1991 and in 2018 she received a CBE for Services to the Arts and Cultural Relations.